While the world waits for high-capacity, low-latency Low Earth Orbit (LEO) networks, SES continues to launch GEO and MEO satellites to its fleet. Early on June 4, SpaceX put SES-12 into orbit. In addition, SES announced added capacity to its O3b Medium Earth Orbit (MEO) constellation. Four new O3b satellites launched in March are now in production, adding 38 percent more capacity to the global high-speed broadband service. SES-12 was launched at 12:44 AM ET from Cape Canaveral Air Force Base in Florida onboard a SpaceX Falcon 9 rocket. The satellite will be positioned at 95 degrees east to provide services across Asia, offering six wide beams and 72 high-throughput user spot beams in a mix of Ku- and Ka-band transponders. It will take until January or February for SES-12 to reach its service position over the Pacific. In the meantime, SES announced the company’s four O3b satellites launched in March are now available for business. O3b satellites orbit at around 8,000 kilometers from Earth, four times closer than traditional geostationary (GEO) satellites. The combination of MEO and Ka-band enables SES to provide “fibre-like” broadband services, with latency in the 50 to 100 millisecond range. Services through traditional GEO satellites add a half second or more latency. “Our customers have been waiting patiently for the new satellites to enter service. As the only company operating a successful non-geostationary broadband system, we are thrilled that these new satellites will be able to connect underserved communities and to transform lives through improved broadband access, as well as be part of the enhanced connectivity experience we deliver to ships, planes and government platforms,” said John-Paul Hemingway, Chief Executive Officer at SES Networks. Launched from Guiana Space Center in Kourou, French Guiana, the four new satellites bring the O3b fleet up to a total of 16 MEO satellites. Four more O3b satellites are scheduled for launch in the first half of 2019. But O3b will soon have competition for high-speed low latency broadband from a number of competitions in the next five years. 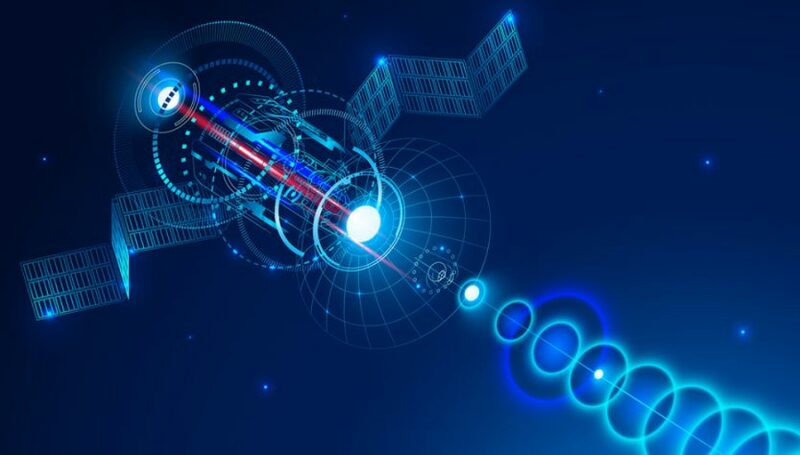 LeoSat, OneWeb, SpaceX, and Telesat all plan to have large Low Earth Orbit (LEO) constellations in operation, with hundreds to thousands of satellites providing gigabit and faster speeds to end users at latencies in the 25 to 35 millisecond range. SES is planning a second generation of O3b satellites, using the promise of more capacity backed by the company’s decades of operations. The first seven O3b mPower are scheduled to launch in 2021. Each satellite will have more than 30,000 electronically steerable beams that can be shifted and switched real time, with the constellation scalable to “multiple terabits” of throughput globally, according to the company press release. O3b has focused its offerings on telecommunications providers, enterprise and the cruise ship industry. Earlier this year, O3b boasted it could provide multi-gigabit speeds aboard ship with its latest service and hardware. Faster connectivity, even on a leisurely vacation, is something customers are demanding.